hd00:11Waterfall from a stream or river as a nature tranquil serene background with flowing water with sound included. 4k00:13Pony with shadow pull cart in park 4K. 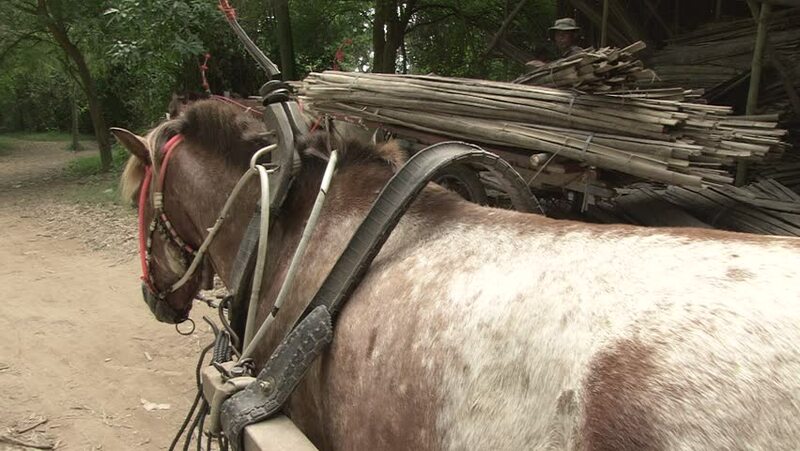 Medium shot of brown pony in focus from behind while harnessed to cart walking slowly on footpath towards the forest.